It’s just 2 days until the eighth PokerStars Spring Championship of Online Poker kicks off, with more than $40 million in guaranteed prizes across 55 events (165 tournaments). The biggest SCOOP to date will take place from May 8-22, and includes a three-day Main Event that starts on May 22 featuring buy-ins of $100 (Low), $1,000 (Medium) and $10,000 (High) along with guaranteed prize pools of $1 million, $2 million and $4 million respectively. Total amount of cash prizes given away during the PokerStars CardHunt promotion, which took place from March 23 to April 30. In total, 801,266 prizes were paid out to PokerStars players, ranging from $1 up to $5,000. Six players won the maximum prize of $5,000. Total number of events for the French Poker Series Season 6 in Lille, which will run from July 19-24 with hundreds of playersexpected to attend the festival.Season 5 of the FPS recently came to a close with Frenchman Stephane Dossetto winning the FPS Monaco title and a €218,000 first prize. A huge field of 1,261 players entered the event, which was the second-highest number of players for an FPS Main Event. Guaranteed prize pool for the PokerStars New Jersey Spring Championship of Online Poker 2016 Main Event. NJSCOOP kicks off on May 15 and will run until May 29. The schedule features 27 events across two buy-in levels. The two-day Main Event features buy-ins of $50 (Low) and $500 (High) with guaranteed prize pools of $30,000 and $200,000 respectively. Top prize won by Fabian Quoss from Germany, after the player topped the field in the EPT12 Grand Final Super High Roller. Quoss won the title and six-figure sum after defeating Ole Schemion, from Germany, heads-up. This win is Quoss’s fourth Super High Roller win. First prize won by the latest PokerStars Sunday Million champion, ‘DaGodfather’, from Canada. The player topped a field of 5,401 players to claim $168,945.98 in prize money from the $1,080,200 prize pool. The amount raised for Right to Play in the EPT Grand Final charity tournament on Saturday night. 80 players entered including members of Team PokerStars Daniel Negreanu, Vanessa Selbst and Ronaldo Nazario. The percentage increase of VPPs and associated StarsCoin that will be credited to PokerStars NJ players when the play in a Sit & Go Happy Hour. Sit & Go Happy Hours started on May 3 and will run until May 31 at 16:00, 18:00 and 22:00 ET. Players who play any real money 6-Max Sit & Go table during these special hours will be awarded with an additional 50% of VPPs and associated StarsCoin. The number of events taking place at the inaugural Eureka Poker Tour Romania stop, which is taking place from May 16-22 in Bucharest. This second stop of Season 6 see Team PokerStars Pro Daniel Negreanu return to Romania and will feature a wide range of buy-ins and tournaments, from a €100 No-Limit Hold’em event to the €1,000 Eureka Poker Tour Main Event and a €2,000 High Roller. Satellites are running now online at PokerStars. The number of days until Run It Up Resorts Rumble with VIP Club Live takes place at Resorts Casino Hotel in New Jersey. Attendees will include Team PokerStars members Jason Somerville, Chris Moneymaker, Barry Greenstein and more, enjoying activities such as live Q&A sessions, a unique ‘onlive’poker tournament before partying the night away at the LandShark Bar & Grill. 4x, 3x and 2x-Turbo events are a thing of the past: the names have been replaced on PokerStars with new, clearer names. PokerStars’ Bryan Slick explains in a blog post why the names have been retired, and how the Little Spash, Splash, and Big Splash events will feature the same tournament structures, but with a clearer naming theme for these tournaments. Three of the €10 Spin & Go qualifiers, including Jan Benglemann, have made it through to Day 5 at the EPT Grand Final. Jan Bengelmann who was originally scheduled to join the German live commentary team after winning a charity event organised by Team PokerStars Pro Online Felix Schneiders. 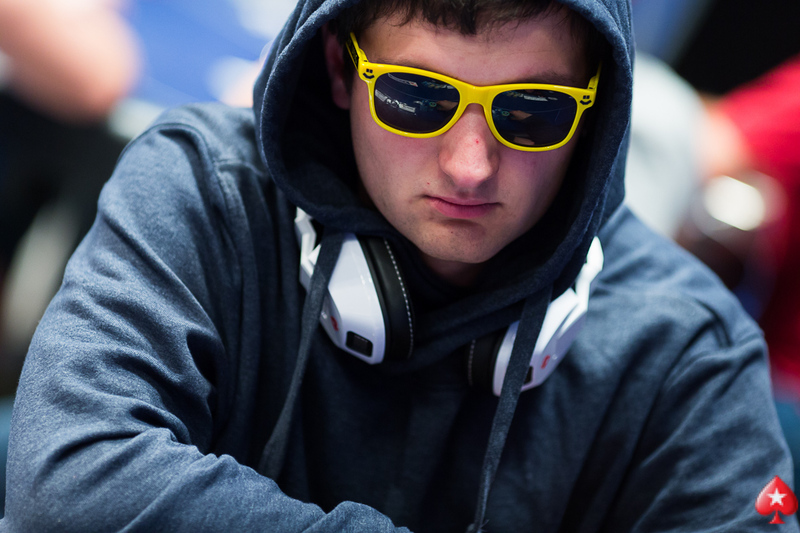 However Bengelmann then binked the Main Event satellite and changed direction entirely: instead of flying to Munich for his stint on German EPTLive, he flew to south to compete in the event itself. He is now guaranteed €22,740 - along with fellow Spin & Go qualifiers Loc Tu from Canada and Asan Umarov from Kazakhstan. Photo of Jan Bengelmann attached. Pic credit: Neil Stoddart.